Since Judah's been with us... we've been a little spacey. People had said this would happen... but I doubted them. I run a pretty organized ship, both inside and out of the cockpit. Few things are left to chance and procedures are followed to ensure the desired outcome. 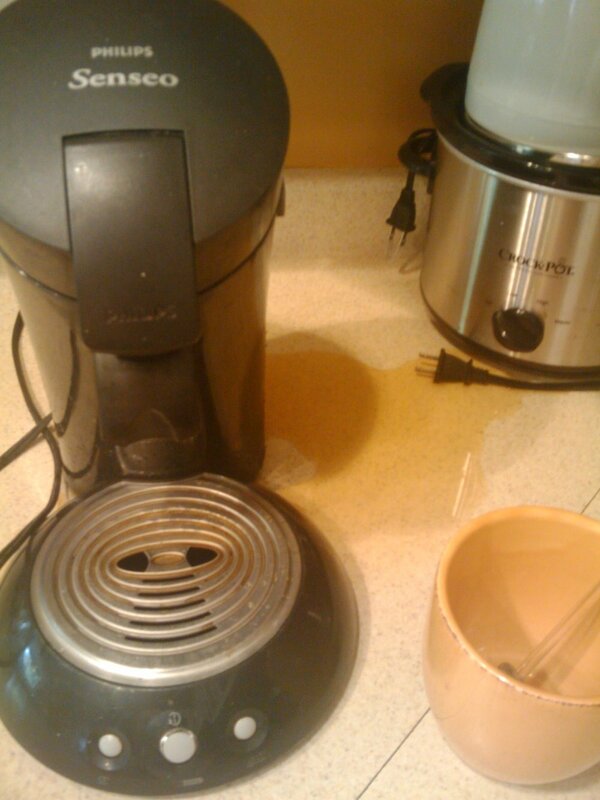 This morning, I forgot the second to last step in making a cup of coffee - Place cup under spout. I didn't forget the last step - Press "brew".